Dennie Pasion is a journalist as well as a make up and hair professional writing for us about her involvement with Elle Magazine’s cover shoot and fashion editorial at Cape Town’s MOCAA (Museum of Contemporary Art Africa) where they had exclusive access before the venue opened to the general public. 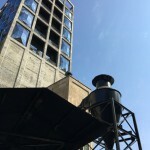 Take a walk with her through once-abandoned grain silos, lavishly repurposed into a multi-storey exhibition of the best modern art and installations in Africa. Owners and investors: luxurious new Villa Laluna in Camps Bay is the latest to be signed up by its UK owners to our virtual management and online marketing product. See how we can set up the care and maintenance of your investment and optimise yield via platforms like Booking.com and Airbnb. Our Cape Town blogger, Dennie, happens to be a world class make up and hair artist. In this Gate 69 post she makes sure that the hair, skin and nails of Cathy Specific and her Trolley Dollies are up to scratch and takes you round their Cape Town cabaret and dinner venue, Gate 69. 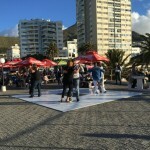 Sunday Tango social at Cape Town’s Sea Point Pavilion. 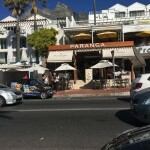 Phlog (photo+blog) post catching a millisecond of Cape Town life with a write up about what it means to us. The Crystal Method: mobile, wearable, long-lasting, mystical properties. Rock as the ultimate hardware. No left turn unstoned: Mood enhancing rocks and gemstones. Just don’t eat them! Take a piece of Southern Africa’s mineral wealth home with you. Smashing Cape ceramics craftily created, crated; couriered cross-continentally. 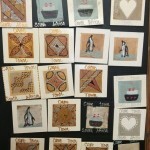 Home ware, fabrics, locally published lifestyle books to use and peruse. Odeon at Watershed captured on blog. Party 3 of our “Made in South Africa” franchise. 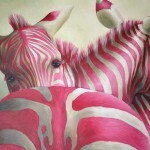 Part 2 in our “Made in South Africa” series. Forget about stuffy museums and slick auctioneers: the imaginative gifts and souvenirs created by the craftsmen and cottage industries of Cape Town are art and collectibles without the heavy price tag. And they won’t take up much space in your hand baggage. Part 1 of 4 posts: more to used teabags than a weak brew. 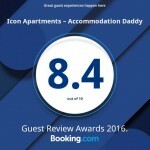 Independent reviews from guests that have stayed with us are the ultimate way for us to gauge how we are doing; invaluable in helping other travellers decide where to stay and are testimonials of how effective our marketing and management solution is for our property suppliers and investors. Sitting just off the Camps Bay beach front pavement, tipping the work leisure balance well into the zone of pampered indolence. Life is good, the waves full of salty energy and Paranga is just the kind of place lap it all up.